During the third annual Brewers Open House, Boundary Bay will be giving tours every half-hour between 12:00 p.m. - 2:30 p.m. It might be time to consider changing Bellingham’s nickname from the City of Subdued Excitement to Brewingham. For a fourth year in a row, Bellingham’s craft brewers fling open their doors and invite beer-lovers behind the scenes with the state-wide Brewers Open House. 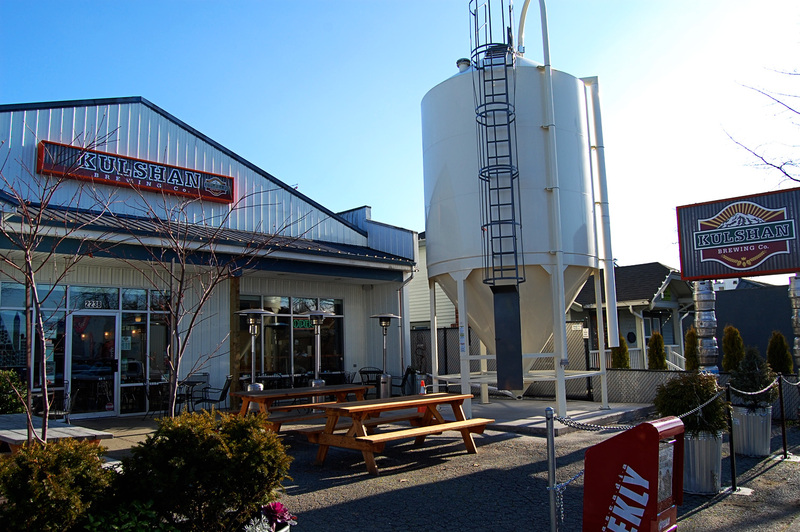 Sponsored by the Washington Beer Commission, the event takes place on Saturday, February 21st from noon to 5:00 p.m. And the Baker Bus will again be there, making the rounds between breweries — for free — from 11:00 a.m. to 6:00 p.m.
Boundary Bay Brewery, Chuckanut Brewery and Kulshan Brewing Company have all done this before. Last year, the trio even chipped in to rent the Baker Bus for free transportation for all tour-takers between the different locales. The bus is back this year, and will also make stops at Aslan Brewing Company and Wander Brewing – Bellingham’s newest craft brewers. 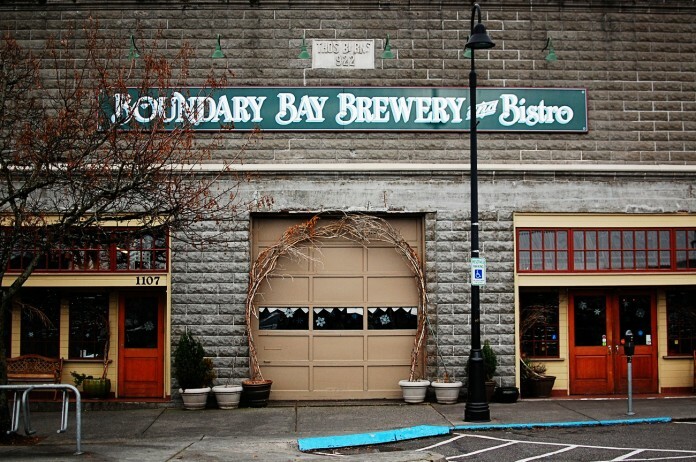 During the third annual Brewers Open House, Boundary Bay will be giving tours every half-hour between 12:00 p.m. – 2:30 p.m.
Boundary Bay has crafted bold Northwest beers in its historic downtown Bellingham warehouse since 1995. With seven brews on permanent tap and a parade of other hoppy options in rotation, it’s considered the largest brewpub in the United States based on beer production and is regularly lauded with copious beer-industry awards. Head brewer Aaron Jacob Smith will lead free tours through Boundary Bay’s facilities and discuss all things beer every half-hour from noon to 2:30 p.m. on Saturday, February 22. “We’ll feature our annual limited release of Alpha King winner Boundary Bay Imperial IPA, available on tap and in 22-ounce bottles,” says Smith, who notes that the event is family-friendly and open to all. 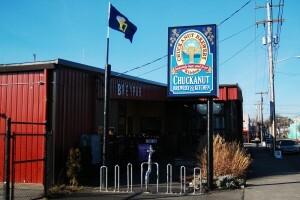 Chuckanut will also be touring folks through their brewery on the half-hour between 12:30 p.m. – 3:30 p.m.
Chuckanut Brewery – founded by Will and Mari Kemper of Thomas Kemper Root Beer – has been serving up award-winning European-style lagers and ales in Bellingham’s Old Town since 2008. “After years of success, it’s no surprise that WA Brewers have decided to continue the tradition of the Brewers Open House,” says Mari Kemper. 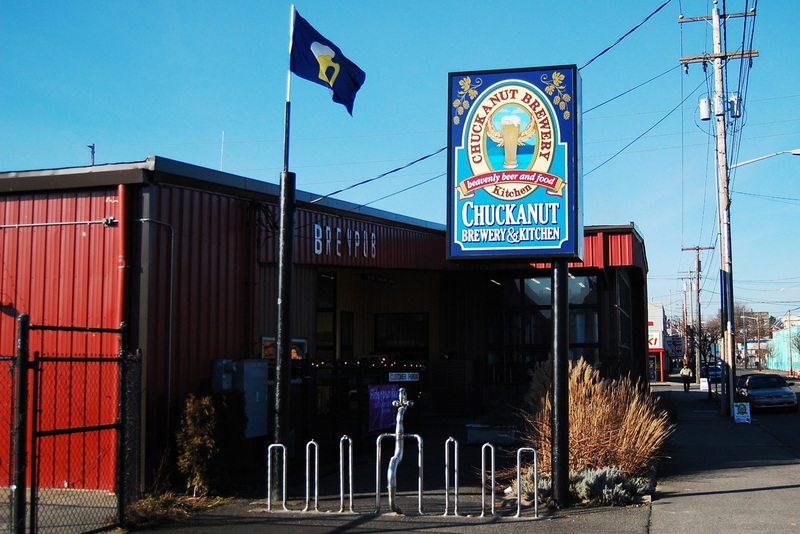 Chuckanut Brewery will offer free tours at 12:30 p.m., 1:30 p.m., 2:30 p.m., and 3:30 pm., giving patrons a chance to talk to its brewers, discuss its many beers, see the workings of the brewery, and offer tastes of its Keller beer, a brew taken directly from Chuckanut’s fermentation tanks, yeast and all. 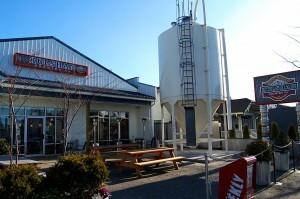 Check Kulshan tour schedule to learn the inner workings of the brewery. 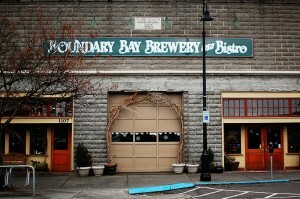 David Vitt, owner and founder of Kulshan Brewing Co., joined the Bellingham brewery scene in April 2012. Kulshan has quickly become a destination for area brew lovers (and food truck fans, as a variety of them regularly park there). 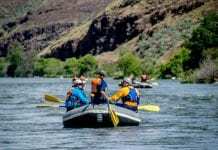 Kulshan will offer tours on Saturday, February 22, at 11:00, 1:00, 3:00 and 5:00. Aslan Brewing Company will also take part in the open house, giving craft beer fans a taste of one of Bellingham’s newest breweries. “All of our beer is brewed sustainably with organic ingredients and no animal products, like gelatin,” says CEO Jack Lamb, who also stresses that Aslan is committed to never rushing the aging of its beer, instead letting each batch run its course naturally. Aslan offers a variety of unique craft brews that beer lovers are sure to enjoy. Wander Brewing has been open at its downtown space near the corner of Cornwall and Ohio Streets since last spring. Wander Brewing offers a wide selection of suds, including Belgians, ales and lagers. “Big beers,” Kuehl says with a smile.